I'm currently six weeks post however my hair is feeling and looking like it is at least eight weeks post. As the weather gets warmer my hair loses moisture so quickly, at times I'm at a loss as to how to keep it moisturized. 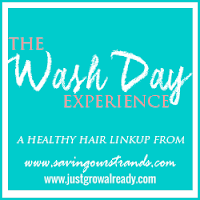 This wash day I went back to a some of my staple and possible will have to put into play my summer regimen very soon. Prepoo- Detangled with coconut oil and prepoo with Cantu shea butter repair cream under my conditioning cap for an hour. I must say that my shedding is at such a minimum that at times i wonder if it is real. Shampoo- After rinsing out the prepoo I shampooed with Creme of Nature Red Clover &Aloe. As usual I only lathered once before rinsing with warm water. 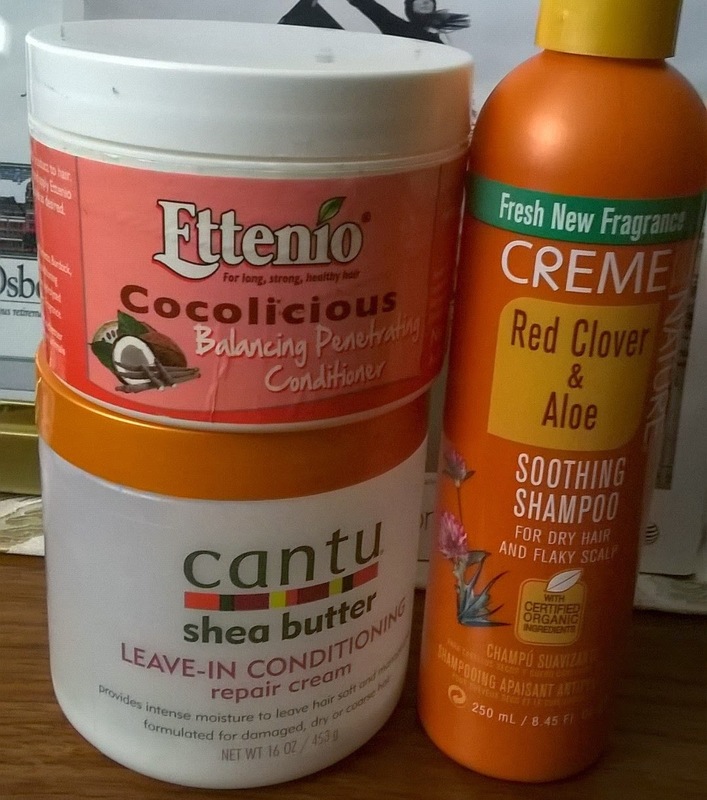 Deep conditioner- I toweled dry to get rid of the excess water before applying JBCO and Ettenio Cocolicious balancing penetrating conditioner. After applying my deep conditioner mixture I put on a plastic cap and head tie, then sat under my conditioning cap for an hour. I can't wait to visit Jamaica this summer to stock up on the conditioner; it smells great but most of all it conditions like WOW. After allowing my hair to cool I rinsed out the conditioning mix with warm water then followed up with cool water to close the cuticle; then t-shirt dry for ten minutes. Leave-in conditioner and moisturizer- After t-shirt drying I applied Creme of Nature Perfect 7 and air dry to 95 percent. 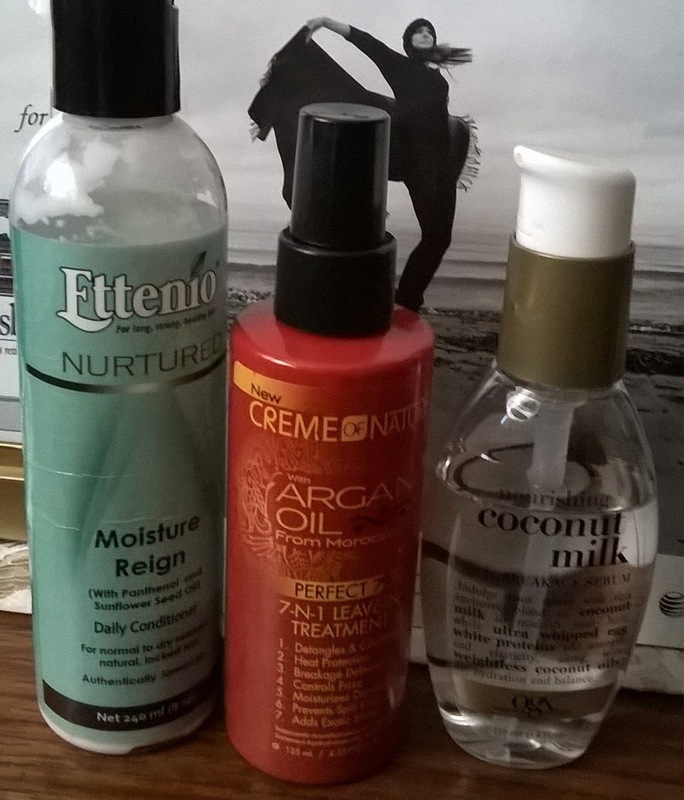 Once my hair was dry I applied Ettenio moisture reign and OGX coconut milk anti-breakage serum before blow drying the roots on cool. I then roller set with roughly fifteen 2 inch rollers. The set was fantastic in the morning however it did not last the day before looking like a rats nest. At the end of that day I moisturized with ORS hair lotion and setting with roughly twenty-five perm rods. This set lasted much longer than the roller set, so this may be my go to style for the summer. Michelle How is the Cantu Shea butter as a pre-poo? I've never thought to use it that way. Do you add oils to it? Also have you done a review on the Ettiene Cocolicious DC? I see we like a lot of the same products. That Argan oil 7 n 1 leave in has been living in my purse since i got it. Love that stuff. And of course the OGX coconut oil serum is the bomb. OMG perfect 7 works like a dream, love it. What size perm rods did you use? I think that I'm obsessed with them! KLP, I use mostly 3/4 inch with a few1 inch thrown in; but I'm seriously think about getting large ones for more fluffy curls. Mmekom on my blog absolutely loves Organix Serums, and I see you do too! I did a perm-rod set, and would seriously reccomend the larger ones! They give such a thick and fluffy curl! Kenya, Organix is the only serum I use. I will currently purchase larger perm rods because I adore fluffy curls.